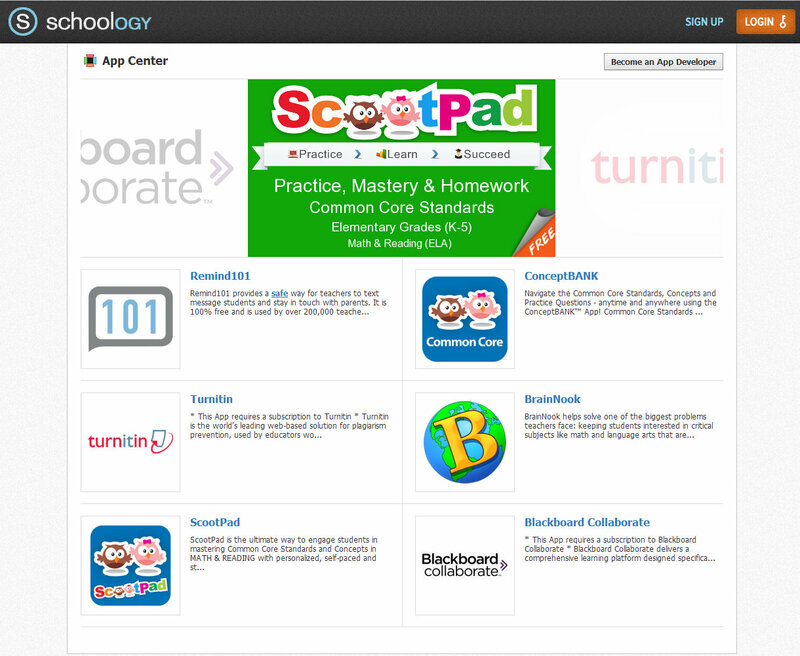 Milpitas, CA – Aug 23, 2012 – ScootPad, a leading personalized learning platform, today announced the availability of ScootPad Apps on the Schoology App Center! Schoology users (teachers & students) can seamlessly launch and use ScootPad Apps from within their Schoology courses/accounts with just one click. For more details, read Schoology’s ScootPad Apps Launch Announcement! Utilize both the ScootPad and ConceptBANK™ apps to understand and implement Common Core Standards into your K-5 classrooms with fun and engaging assessments!